Mr. Spooner has been going mad with his yellow paint again. If we did not stop him, he would paint the whole ground luminous yellow during the close season! 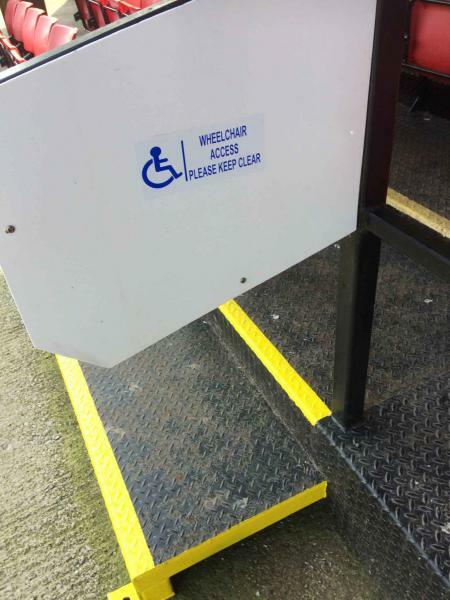 Wheelchair users now have designated spaces within the Redrow stand. 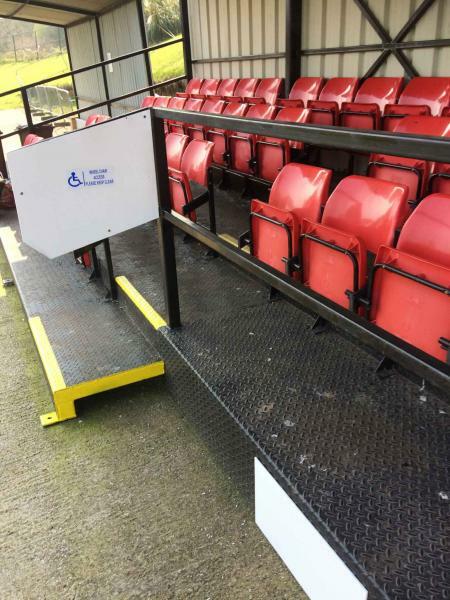 New signs have been sited together with yellow markings to highlight non standing areas in front of the stand to ensure a good view for our disabled supporters. We are always looking for help with ground maintenance tasks, so if you have any free time over the Summer and wish to give a helping hand, whilst at the same time show support for your community-based football club, we would more than welcome you. Just email us and let us know when you are available and what sort of skills that you have. Click here. 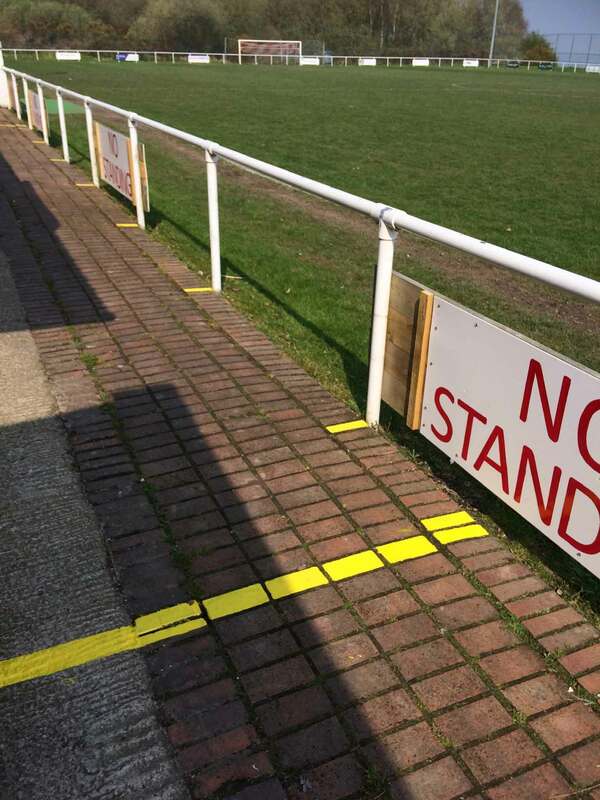 This entry was posted in and tagged Buckley Town FC, Ground Maintenance. Bookmark the permalink.